He was once known as The Most Dangerous Man in Europe, Scarface (on account of his duelling scars) and as The Liberator of Mussolini. In September 1943, a daring and near-suicidal glider raid, in which Otto Skorzeny played a principal part, succeeded in springing the former Fascist dictator from the mountain fastness in which he was held hostage by an Italian government on the wrong side of the war and increasingly desperate to do a deal with the advancing Allies – a deal in which Mussolini was the major bargaining chip. As a result of the raid, the course of the Second World War was changed, and the Allies were deprived of a spectacular show trial. The operation’s success cemented a personal relationship with Hitler, of the peculiar kind that can only flourish in a totalitarian state. Whenever the Nazi dictator had a special mission, Skorzeny usually got the brief to carry it out. These missions included the attempted assassination of Roosevelt, Churchill and Stalin at the Tehran Conference in Nov/Dec 1943; the planned abduction of Tito (involving another daring glider raid) in May 1944; and a successful coup d’etat in Hungary after its leader attempted to back out of the Axis alliance. Not least was Operation Greif – the infiltration of German soldiers wearing American uniforms behind enemy lines during Hitler’s last big offensive, in December 1944. In his spare time Skorzeny – an engineer by training – helped to develop the Third Reich’s special weapons. These included manned suicide torpedoes and a piloted version of the Flying Bomb . Hitler, Himmler, Goering, Goebbels, Canaris, Schellenberg, Kaltenbrunner, Mussolini – Skorzeny knew them personally. And Churchill, Stalin and Eisenhower would have had reason to know who he was. After the war the Americans tried him for war crimes (he was after all a Waffen-SS officer). But he got off – as a result of surprise testimony from a noted British commando and war hero, Wing Commander Forest Yeo-Thomas. Even more surprising, the Americans then connived in his escape from captivity (while he was awaiting a further trial) in 1948. 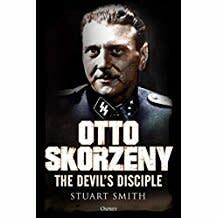 Skorzeny found asylum in Spain where he set up an engineering business in Madrid, handsomely helped by his excellent connections with the Franco military regime. 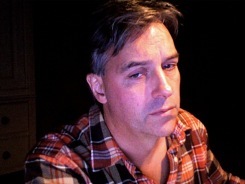 In the Fifties his reputation grew to mythic proportions. Some flattering biographies (in English, never in German) followed. Then the bubble burst. Critics (mostly disgruntled former Wehrmacht officers) claimed he was a fraud who had stolen the credit deserved by others who were not in a position to complain, at the time. But was he actually a fraud? He was certainly the first commando to understand the linkage between special operations and their ramifications at the highest political level. Top living commando Admiral William H. McRaven – former head of Special Operations Command, and the man behind the Navy SEALs operation that hunted down Osama bin Laden – cites Skorzeny as one of the fathers of special operations. Current research, which benefits from material recently dug out of the archives, suggests Skorzeny was more of the Real McCoy than his critics would have us believe. He was also a braggart, expert at embroidering his own achievements. Moreover, even in our own day his Waffen-SS background and unrepentant political views make him a controversial figure.